Nike does it. So does Apple. Disney was one of the first to do it. Microsoft is paying the NFL more than $100 million dollars over the next five years to do it for them. When it comes to celebrity influencer marketing and brand ambassadors, it’s not who you know—it’s how much you’re paying them to know you. It’s a great strategy, particularly if you’re a billion-dollar brand looking to maintain your presence in a crowded market. But what if you’re not a billion dollar company? 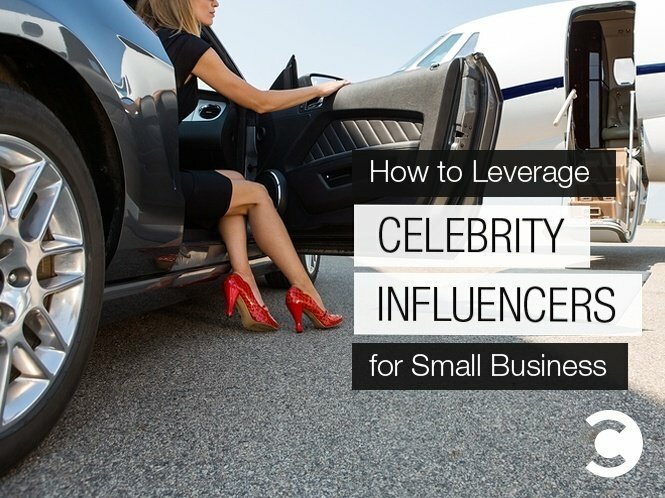 Is celebrity influencer marketing still a viable tactic for your company? Let’s be clear: Influencer marketing works no matter what size your company. And by offering an ROI of 6.5:1, influencer marketing can quickly become a marketer’s best friend. So why add a celebrity— and the risk that comes with that celebrity—to the mix? The point resonates as you examine just the very concept of “celebrity.” No longer limited to high-profile athletes and movie stars, celebrities now run the gamut from YouTube sensations and viral video hit-makers to reality TV stars and more. In fact, for the sake of this piece, a celebrity is no longer defined by how “famous” they are, but instead by how motivated their target audience is . Celebrity brands have become an alternative revenue stream to celebrities, and as such are very valuable if nurtured properly, to maintain a relationship with their target audiences. Ryan Brunty, head of Social for Zappos COUTURE, agreed. “We are living in an incredibly interesting time in which we are hyper-connected to not only each other, but the pop culture icons we love and adore,” said Brunty. Never before in history have we been able to share information at this rate and connect on such a deep and personal level with our chosen celebrities. This extends to celebrities and the fact that we are now able to witness personal vignettes of their lives as though they’re close, personal friends of ours. That makes for a very interesting proposition—who do consumers trust when it comes to what we purchase? Our friends, of course! By that logic, celebrity influencer marketing is an extension of that circular experience. Marketers are challenged with aligning trust with the celebrity endorsement’s demographics while also staying true to their own brands. Why Are Celebrity Endorsements So Valuable to SMBs? Celebrity brands are a multi-billion dollar business today, but there are only so many mega-brands to go around, which makes celebrities more and more accessible to smaller brands than ever before. Given this increasingly fractured marketplace, marketers are finding it difficult to continue using traditional (think direct mail, or even email) marketing methods. So instead of a one-at-a-time approach, marketers are learning the benefits of influencer marketing, or leveraging an audience with an audience. Zappos COUTURE agreed and began their first celebrity marketing campaign working with Lauren Conrad and the LaurenConrad.com team. The relationship with Lauren Conrad has paid off handsomely for the retailer, leading to a redux for their spring line. Zappos had originally allocated budget toward a display buy, but Brunty tweaked tactics at the last minute to sanction a portion of the budget to experiment with influencer marketing. It turns out that even other celebrities are not immune to celebrity influencer marketing. According to a recent study by Forrester Research, social media spending in the US is expected to reach $27.4 billion by 2020, up from $12.3 billion in 2015, growing at a five-year annual growth rate of 17.4%. The way marketers slice their pie is getting more and more complex, with more and more offerings. Influencer marketing can check off a number of boxes for most brands. While celebrity influencers are more expensive than a traditional influencer, they offer a greater megaphone that some brands are looking to use to amplify their reach. That’s not to say marketers should completely abandon all other marketing strategies to jump on the celebrity bandwagon. Rob Stevenson is the Director of Engagement at Find Your Influence, a leading turn-key influencer marketing platform. An accomplished marcom vet with international experience, Rob has built a career telling stories that connect with audiences and inspire action across technology, green industry and industrial manufacturing verticals.